We want to give the very best (and personal) experience possible, so for 2019 we are only accepting 6 Albuquerque or Santa Fe couples. 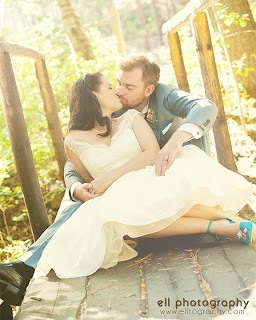 Due to high demand, please Apply Here to get a custom quote to be one of our Awesome Brides (or Grooms)! Ell Photography only takes a few couples a year because these days weddings are intricate and incredibly unique. We spend a lot of time with our brides and grooms to prepare them for their big day. Every wedding couple has their own vision (and budget!). While you may spend hours trying to find a dress that fits, I'll help you mold and tailor your photography package to your needs and budget in one short consultation. Packages start around $2500. We can do everything including your affordable and custom Save the Dates, Invitations, Guest Book, Wedding Day coverage, Wedding Album, Photo Thank You Cards, Wall Galleries, and gift prints. We can also do bridal registries if your dream package isn't quite in your budget yet. 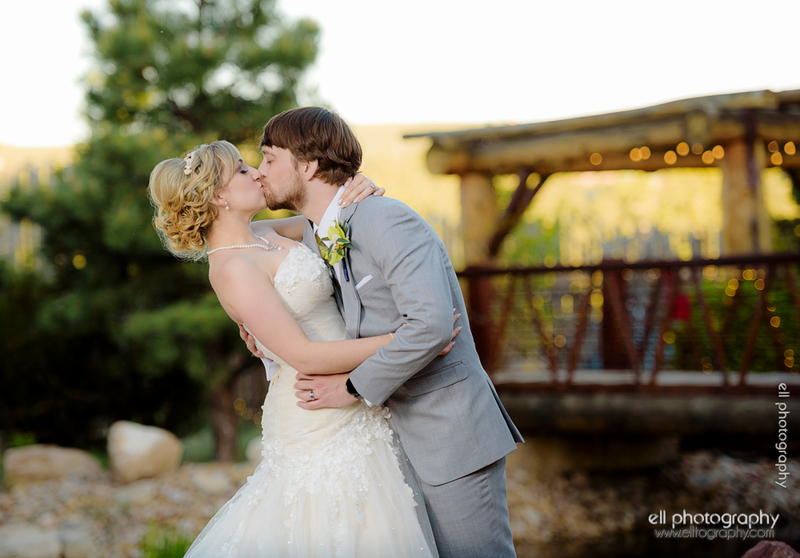 To set up a free consultation, send an email to Ell Photography with your desired wedding date, location, and photography wants and needs or call 505-933-5585. 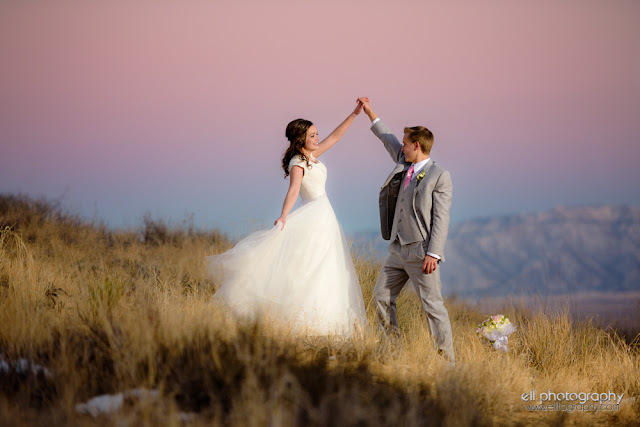 If you are searching through all the Santa Fe and Albuquerque Wedding Photographers to find the perfect match, consider customizing an Ell Photography wedding package to get exactly what you want for a price that's hard to beat. Keep in mind when comparing packages that any Wedding Package over 4 hours with an album from Ell Photography come with a FREE Engagement Session for you to create unique and custom photo wedding stationary including Save the Dates, Wedding Invitations, Photo Reception Guest Books, and Thank You Cards. However, if you are still deciding on your wedding photographer, consider taking Ell Photography for a test-drive with an engagement session. We know you'll love the photos and will be back for the main event! I think it's important to look at a photographer's full wedding album of each wedding, not the top few from each wedding to get a real idea of the quality of all the parts of a wedding at different venues. Below is a variety of different types of weddings and engagements. 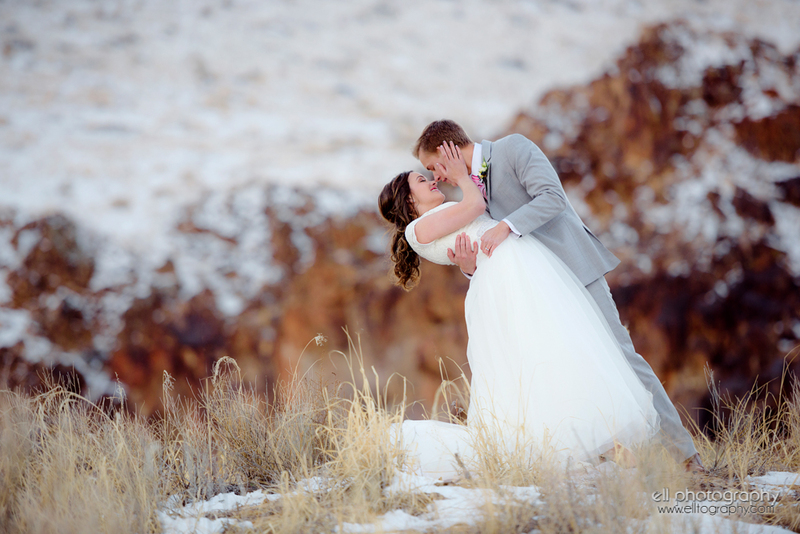 Melanie and Jamal's snowy Engagement Session in Pagosa Springs, CO.
2019 Deals: Get an Engagement Session for FREE when booked with a Wedding Album Package. Please inquire for details! The Ell Glam Team is also there for you on your wedding day! Our awesome makeup artist also offers free makeup services* on the day of your wedding to make getting ready stress free! Our hair stylist will also come on location to your getting ready room at your hotel, church, or other venue and offers very affordable hairstyling for you and your bridesmaids! * if available on your date. I absolutely love photographing couples, especially capturing the spark between two lovebirds that have just gotten engaged. It is such an exciting time as you transition to husband and wife. A photo shoot is one of the best things you can do during this crazy, fun time. It gives you a break from all the wedding details, and brings your focus back to each other. It also helps you get comfortable with each other in front of the camera before your big day. I will coach you through several different poses as well as guide you through several "activities" that will make you laugh and capture really natural interactions between the two of you. This session is up to 2 hours at the location(s) of your choice with up to 2 outfit changes. Engagement photos are great to use on custom photo "Save the Date" Announcements or Wedding Invitations, or to create a photo album guest book for your big day. Show me the love, nearlyweds! Watch Ashley and John Paul's Sante Fe Engagement Video below. We do custom In-House Save-the-Dates Cards, Magnets and Wedding Invitations that are just as affordable as ordering them online! If you're the creative type, we also work closely with Wedding Paper Divas (same stationary company as featured on www.TheKnot.com) where you can create your own Save-the-Dates and Invitations. However, most of our couples do custom designs and invitations through the studio. We make creative Guest Books with your Engagement Photos and Custom Questions! (see below). 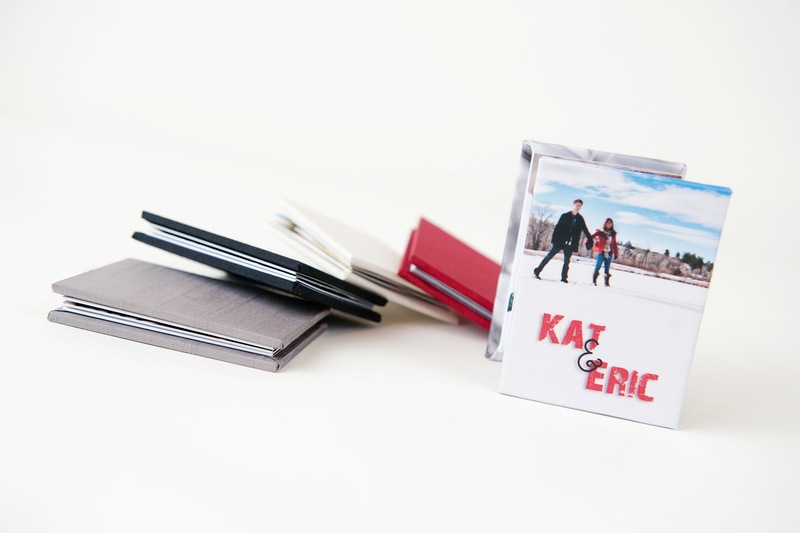 Who can resist these cute little Accordion Books that make Great Personalized Center Pieces or Parent Brag Books (they're very durable and have stood up to months in my purse)! Choose from 24 different Silk, Linen, or Chrome Fabrics OR choose your two favorite photos to grace the covers. 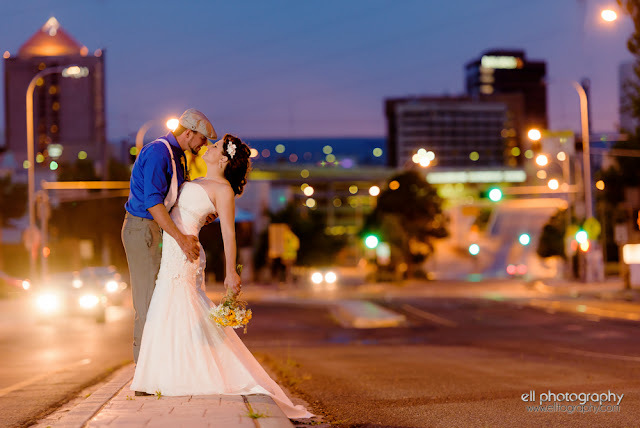 A bridal session is a portrait session of a couple in their bridal attire on a day other than their wedding day. Some brides choose to do their bridal session alone as more of a fashion shoot. These types of sessions usually take place before the wedding. Many times it is right after the hair and & makeup dry run. You can choose a location or concept that may be a little non-traditional, but it can also be the perfect solution for couples struggling with how photography will play a role in their big day. In addition to that, I LOVE to shoot them! 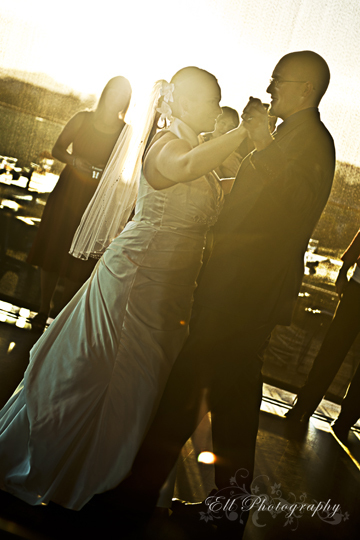 If taken at least 1-week prior to the wedding, images can be added to a wedding slide-show for the reception. *Spring and Summer Weddings: Since weather in the Spring can be windy and unpredictable and weather July to Sept can bring monsoons out of nowhere, it's a good idea to add a post-wedding session to any wedding package and have more flexibility to make sure your Bridal Session photos are perfect. What do you do with your dress after your wedding is all over? Why not get one more fun shoot out of it! The idea behind the post wedding shoot (aka "Trash the Dress") is to take advantage of some non-traditional, edgy shots in your gown without having to worry about keeping your dress clean & pristine. You can keep it as simple as doing a shoot in your gown in an urban setting or as crazy as wearing your gown in the river or at the paintball range. This is also a good option for couples that have religious or other beliefs that they shouldn't see each other or the wedding dress before the ceremony. This session normally runs about 1-2 hours. Want to surprise your husband with the perfect wedding gift? This might be for you. Most brides these days are hitting the gym hard for their big day and are in the best shape of their lives. Why not harness your passion in your prime for him to drool over for years to come! If you are interested in a Boudoir, please email kira@elltography.com and I can send you a link to a private gallery for you to view some of my work. My clients privacy is of the utmost importance, but I have a few clients to allow me to share their photos with other potential clients. Boudoirs are for women of ALL size and body types. Every woman is beautiful in their own way and it is my job to prove it to you! I also have a makeup artist who can glam you up, and have a hair stylist who are also available part time as well. If the makeup artist is available, makeup is INCLUDED in all the Boudoir packages!! Our awesome All-Girl team will make you feel beautiful and get you ready for your session. You will receive full glamour retouching (body sculpting/lifting/tucking, skin smoothing, and wrinkle lightening). Since there are so many fun product options for Boudoirs of varying prices, they are sold separately. Discs, slideshows, Vixen Accordion Pocket Books, Bombshell Albums, and Wall Galleries are all available. Accordion books are perfect little inconspicuous travel-sized gifts that I can slip in his tux pocket on your wedding day or give to you to hide for him to find. As Boudoirs are growing in popularity in New Mexico, more and more of my clients are ordering enlargements in canvas or standoffs to hang on their walls at home in their bedroom. Use photos from your wedding or any of your sessions to make custom stationary for any occasion. Check out this custom Tri-fold design of two different couples where the third square tears off into an RSVP postcard! We offer all sorts of wedding invitation sizes. The 5x7" flat card is popular for Save the Dates as well as bundled Wedding Invitation Cards. With the 5x7" size, you can put a full photo on the back so your friends and family can frame the back of your card! 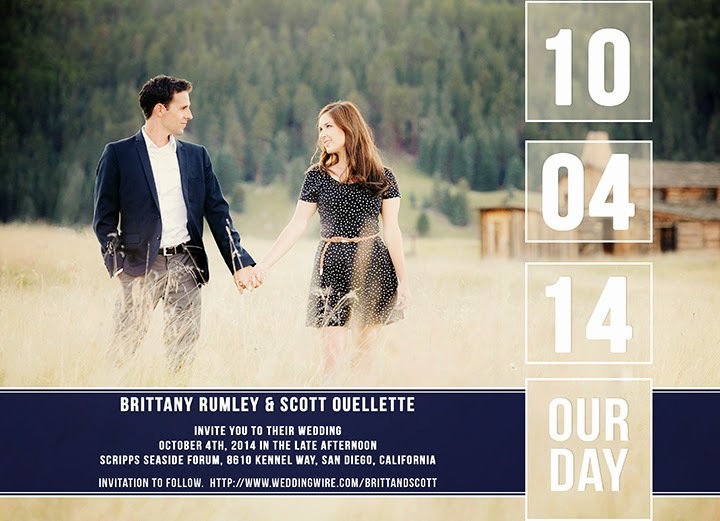 Brittany and Scott had their engagement photo session up in the Valles Calderas in Northern New Mexico, but are getting married out in San Diego, CA. When Engagement and/or Bridal Sessions are booked far enough in advance of the wedding, images can be included in a Customized Guest Book. You can include the story of how you met, your vows, special poems, readings, or quotes, guest book signature pages and all the images from completed photo sessions so far. Include special questions to elicit cute or funny responses. Instead of getting boring responses like "Congrats" or "Best Wishes" on a Signature Board, get personalized advice and stories, quotes, and other meaningful responses to your custom questions with a Photo Guest Book. Many times guests will sign multiple pages and they are always a huge hit because everyone wants to see your engagement photos!! Here's a sample spread from a June 2014 wedding matching the above sample tri-fold invitation! 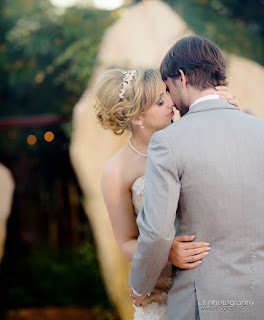 Ell Photography offers the totally awesome Graphi Wedding Albums. We believe in offering high quality products and these are our favorite! These professional albums are among the highest quality books in the world and are hand-made in Italy. They come in many different sizes from 8"x12" all the way up to 16" x 20". They also offer several cover style such as leather, metal, and silk as well as many paper styles such a luster, pearl, and metallic. 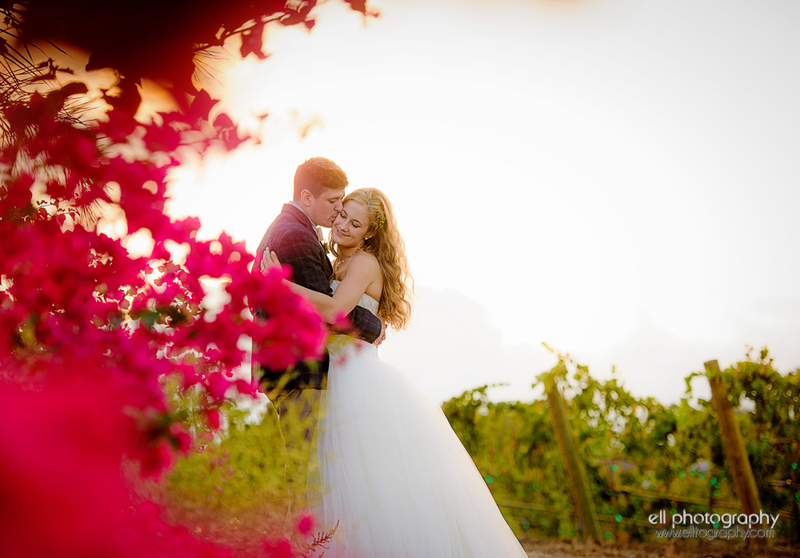 Mix and match your wedding photography package to match your needs. Below is an example of a wedding package with a 9.5x13" Graphi Studio Wedding Album with a Metal Cover and Leather Spine, set of Wedding Photo Accordion Books, 2 Parent Wedding Replica Albums, and a professionally printed Disc of Images with a print license and a Silk Case. Italian Graphi Studio Albums are the Gold Standard for wedding photography albums around the world. The printed Graphi Studio Metal Cover is included with Ell Photography's free Level 2 Cover Upgrade as well as the real leather spine upgrade that comes with most wedding album packages. All editing and layout design is performed in house and completely custom. Please inquire for details!